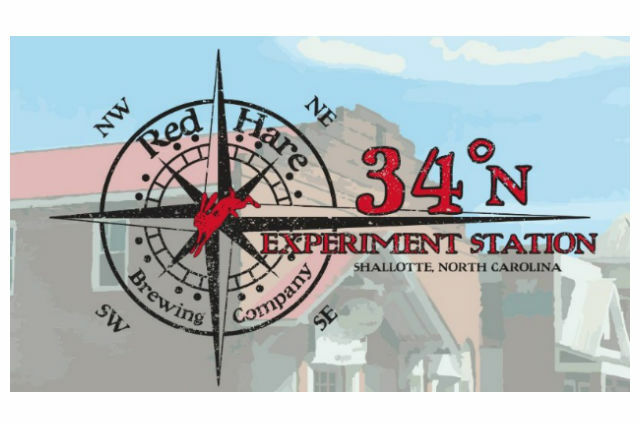 Red Hare Brewing Company, founded by Roger Davis and Bobby Thomas, is excited to announce the official Grand Opening of their second brewery, the 34° North Experiment Station in seaside Shallotte, North Carolina. The 34° North Experiment Station will feature small batches of funky experimental beers, inspired by the wild yeast and bacteria coming off the coastal winds. Being craft beer connoisseurs, Roger and Bobby have always been intrigued by beers created through wild, spontaneous fermentation. 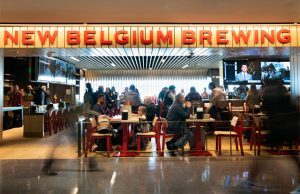 Searching for inspiration, Roger set out to meet the Van Roys of the famed Brasserie Cantillon in Brussels, and to tour the inner-workings of the historic Belgian brewery. Roger was impressed and wanted to capture some the age-old spontaneous fermentation techniques of Cantillon, famous for producing Geuzes, Lambics, and Krieks, which are typical Belgian-style sours. Roger and Bobby then headed out to the coast of Oregon to tour breweries, such as Breakside Brewery and de Garde Brewery, who have experience crafting sour beers in the US. 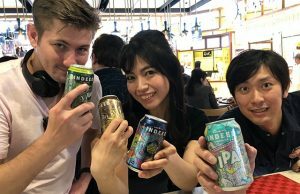 The goal was to deepen their understanding of these unique brewing methods and to implement them in a brewery of their own. 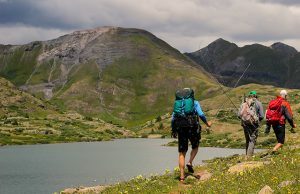 Excited to put their new-found techniques to use, they decided to open a second brewery where wild yeast could be captured from the surrounding environment, critical to the sour-brewing method. In 2016, a 120-year-old historical drug store in the coastal town of Shallotte, North Carolina offered the location they had been searching for. Having an old building off the Atlantic shore would allow all the wild yeast and bacteria to gently float into the brewery off the cool ocean air. 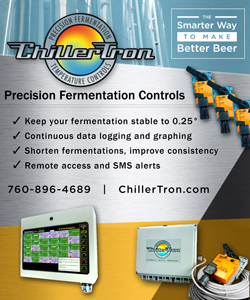 They seized the opportunity and are now proud to announce the opening of the 34° North Experiment Station, which just happens to be on the same line of longitude as the original brewery in Marietta, Georgia! Bobby and his brewing team are excited to concoct some radical beers, and to play with barrel-aging and blending in a variety of fermenting vessels. The 34° North Experiment Station will also feature beers from the main brewery in Marietta, including SPF 50/50 India Pale Radler, Soft J IPA, and Long Day Lager. 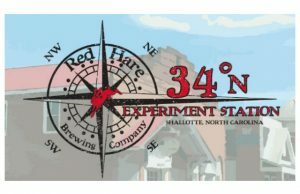 To celebrate the opening of the 34° North Experiment Station, Red Hare Brewing will host a Grand Opening Party on Saturday, April 21, 2018 at 2:00 pm. The Grand Opening Party will feature live music from the Dirty White Rags and Kim Disco. Food will be available for purchase from local restaraunt partners Wing & Fish and The Grillin’ Crab.